Teresa A. Donovan, M.P.H., has more than 20 years of research and communications experience in the federal government, public health, and academic research environments. She served at the Voice of America, then on the White House staff from 1988 through 1992, first in the Office of Domestic Policy of then-Vice President George H.W. Bush, and later as Senior Writer and Editor of Presidential Messages and Correspondence. She later served as a center director for A Woman’s Concern Pregnancy Health Centers in Boston (1996-2002) and director of the Massachusetts Physicians Resource Council. Concurrent with graduate studies at the Northwest Ohio Consortium for Public Health (2002–2005), Donovan served as managing editor for Social Philosophy and Policy, a peer-reviewed journal published by Cambridge University Press and the Social Philosophy and Policy Foundation. Her writing has appeared in the Journal of Social Policy and Research, Journal of Agromedicine, The Boston Globe, The Wall Street Journal, The Des Moines Register, and many others. She has worked in the University of Kentucky College of Public Health and its Southeast Center for Agricultural Health and Injury Prevention. 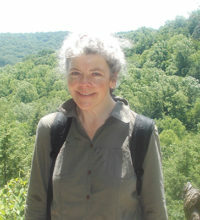 Currently she works in the federally funded Center for Environmental Genetics at the University of Cincinnati.